Fox & Weeks and Pets at Peace by Fox & Weeks are proud to be sponsors for the 2015 Savannah Kennel Club Dog Show November 27-30 at the Savannah International Trade & Convention Center on Hutchinson Island. 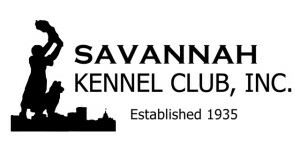 The Savannah Kennel Club was established in 1935 by fanciers of purebred dogs. The SKC continues the tradition today with activities focused on establishing and maintaining the human/canine bond. Throughout the year, the Kennel Club offers community activities such as educational programs, support for the Humane Society fundraisers and other activities designed to encourage responsible dog ownership. The community education programs are oriented towards dog familiarization and personal safety with dogs. The SKC is a affiliate club of the American Kennel Club and its highest of standards for breeding and dog health care.